As well as being the Cullen family home, Cyril Cullen Knitwear and porcelain is designed and produced in the converted ‘old stables’ in the castle courtyard. The unique parian/porcelain designs are sold in what was the old dairy at Farney castle, the knitwear boutique is situated in the original kitchen of the castle and a coffee shop is situated in the 15th century round tower.It is the only Round Tower in Ireland occupied as a family home. 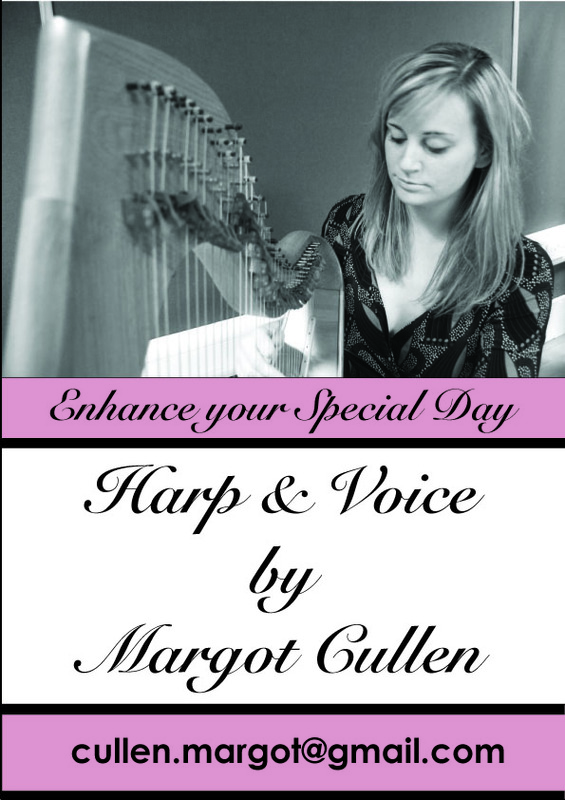 Tours of the castle are available daily and harp recitals take place in the drawing room by arrangement. The first castle was built at Farney in 1185 and this would have been a timbered structure. The present round tower was built in 1495 by Thomas Butler, 7th Earl of Ormond, and it was part of a defensive system created by the Butlers to protect their land in Tipperary. 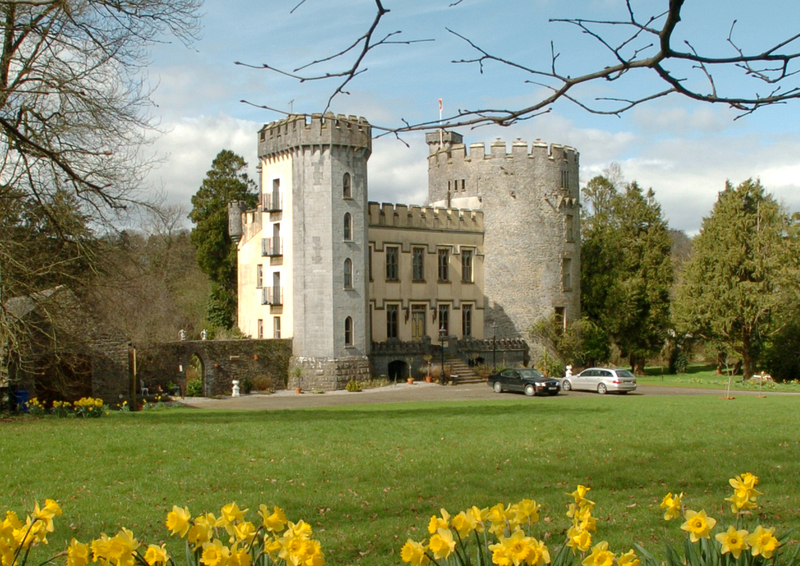 The Butlers were in Farney Castle for 500 years but in 1536 the castle was confiscated by King Henry VIII of England. He returned the lands again to the Butlers in 1538 when he married Anne Boleyn who was the daughter of James, 3rd Earl of Ormond. Subsequently the castle was occupied for short periods by two other English monarchs namely King James 1st from 1617 – 1625, and King George 1st from 1716 -1721. In 1649 Cromwell landed in Ireland and shortly after 1650 a Cromwellian soldier named Hulett took over the castle. Then in 1660 Capt. William Armstrong, a Cavalier who supported the Stuarts and who fought against Cromwell, acquired the castle and lands, and there were Armstrongs in the castle for the next 200 years. William Armstrong came from a Scottish Border country family which was famed in the sixteenth century for its ferocity, and in 1677 he purchased large estates in the area including Holy Cross Abbey and Holy Cross lands. The round tower is 58 ft. high and has five stories. It is unusual in being circular whereas the majority of this sort of tower were square or oblong. It possesses a mural staircase (built within the thickness of the walls) off which it appears that secret rooms still exist undiscovered. The main door was opened up by Cyril Cullen having been closed for 200 years. There is a “murdering hole” over the main door and this enabled the castle defenders to shoot from above at any intruders. The tower castles were built to safeguard the Butler lands during the long periods when the family was away in England. Each year, Cyril creates new designs in a combination of Parian and duck-egg blue porcelain. The unglazed Parian is used to highlight the faces and hands of the figurines and patterns and decorations of the vases. The subtly contrasting duck-egg blue glaze creates a wonderfully delicate result. Intent on using natural and organic fibres and yarns, Cyril uses the wool from his rare flock of Jacob sheep. There is no dye used in these unique garments and the fleece of a single sheep can provide dark browns, light browns and greys. Another unique feature of a Cyril Cullen garment is the addition of porcelain buttons with his initials ‘CC’ carved in Celtic script. Cyril’s beautiful collection of lightweight linen and cotton dresses, tops, skirts and scarves are also showcased in the boutique at Farney Castle. His trademark, handknit frill, features on a number of his complex creations. I know Ireland is not nearly as big as Texas , but where are you. . . .what large city is nearest you ? Visited your castle and shop.I purchased a Jacobs Wool hat and it is admired by all who see it. I sometimes put a broch or a piece of felt on a pin and it gives the hat a great lift. Thanks for producing the wool. Much appreciated especially on a cold winters day!!!! That’s wonderful Katherine, delighted you are enjoying your Cyril Cullen creation. Lovely idea to customise it with a little embellishment too. The weather has certainly changed so I’m sure it will come in handy alright. We do matching Jacob scarves too, if you feel like making a set! Thank you so much for your kind message Susan. You and your family are most welcome and we are delighted you enjoyed your visit. Hopefully you will visit us again soon. I feel a bit foolish for not being able to find this information myself, but are tours given Sunday’s and, if so, what time do they start? And I found it. No tours Sunday. Sorry to bother. Apologies Brian, only seeing this now! If you haven’t already been, call into us mon-sat tours daily and give us a call on 0504-43281 beforehand to guarantee tours are taking place. After 20 years of passing this castle, we were so delighted today to get a chance to call in. It was just a short visit but most interesting and I will be back to see the rest of this place and the amazing paintings. Small world Cyril- from the Colemans in Newport. Hi. My father Joseph Ryan recently visited Farney Castle when he went home to Thurles for a visit. He bought from your shop two beautiful coats for my sister and I. Truly beautiful craftsmanship ! I looked up online the FARNEY CASTLE VISITOR CENTRE. Just wanted to make one small correction. Anne Boleyn’s father was Thomas, not James. Thomas Boleyn was the 1st Earl of Ormond and also Earl of Wiltshire. Lovely to browse your website. Thanks for getting in contact Deirdre and for your feedback. Hope to see ye at Farney again soon. We loved our visit to Farney Castle. We came in October of 2013 and it remains a fond memory from our trip. Cyril, I emailed you a while back to see if there is a way I could order a new hat for my aunt. When we came to visit my aunt bought a lovely wool hat, since then her home caught fire and burnt down. The hat was felted by the restoration company. I’d love to surprise her with a new one from you. I can send you a picture of her wearing it so you can see the color and style. Maybe i can call and pay for the hate ans shipping by phone? let me know. Hi Jessica, Happy New Year and thank you for your lovely message. If you could email your photograph of the hat to cyrilcullen@ymail.com, we can take it from there. Cyril Cullen. The family history may show family ties. Maybe a visit to your area would tell us more. It has been almost twenty years since our trip to Ireland. I insisted on seeing the “Jacob’s Sheep” near Holy Cross Cathedral, and my poor husband had no idea what I was talking about, We actually crashed (and enjoyed) a wedding at Holy Cross, before we continued on our way to Farney Castle. It was such a pleasure to spend two hours drinking tea with Cyril, discussing how he got started in the knit wear business, his sheep- I still have a photograph of him feeding his peacocks. I have a Jacob’s sheep sweater coat and hat that I wear every winter. Still in the most beautiful condition. Can’t wait to finally go back. Good Evening would you able to cope with a group?? Yes indeed we take tours in groups. Can you email us details of numbers and dates please to farneycastle@eircom.net.